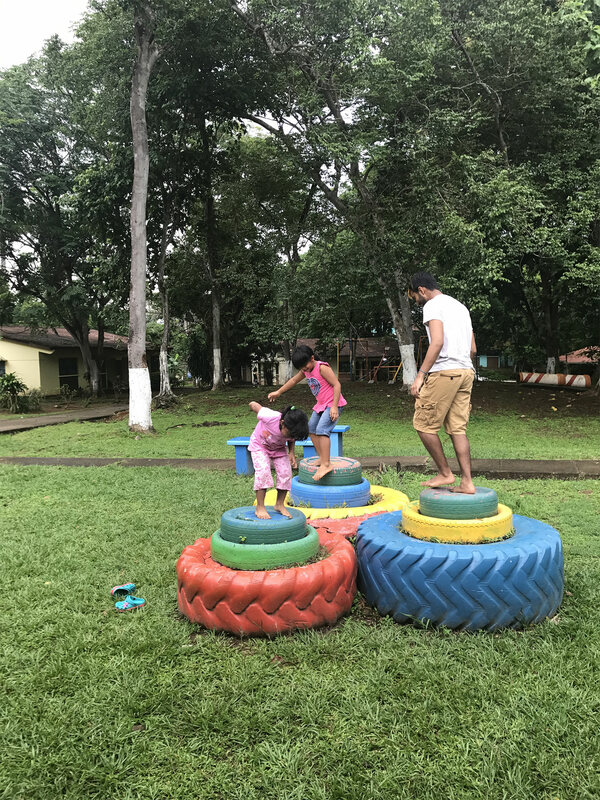 After drinking copious amounts of Panamanian coffee in attempt to rid my body of the previous day’s soreness and exhaustion, it was off to the university for the first activity of the day. On the itinerary for the day was a typical Panamanian folkloric class with a professor from the university. In true Panamanian style, there was no class room available and so the class took place in the middle of the hallway. This meant lots of intrigued onlookers observing us struggle through steps of the dance. Although we never master the steps, far from it intact, we entertained many and enjoyed ourselves thoroughly. After class it was down to the studio for rehearsal for the piece we would be performing in the upcoming show. Even in air conditioning the fast paced warm up had the entire class drenched in sweat in the first fifteen minutes and for the next hour and a half nothing got easier as we worked through choreography and practiced lifts. Dancing and connecting with the Panamanian dance students was great and everything felt much more comfortable now that we had danced with them once before. Sweaty and full from lunch we loaded up the bus for our last class at Aldea. We were greeted with familiar faces of kids eager to dance. Although working with a large group of mixed aged kids presented certain challenges, we practiced and polished the opening number for the show and the kid’s hard work really showed. It will be amazing to see everything come together Friday night. In the midst of all the craziness and hard work the whole group found several moments to relax and just play. We jumped around a small playground and played soccer with kids, the fact that we didn’t speak the same language and were years apart in age not mattering at all. We were friends just the same.